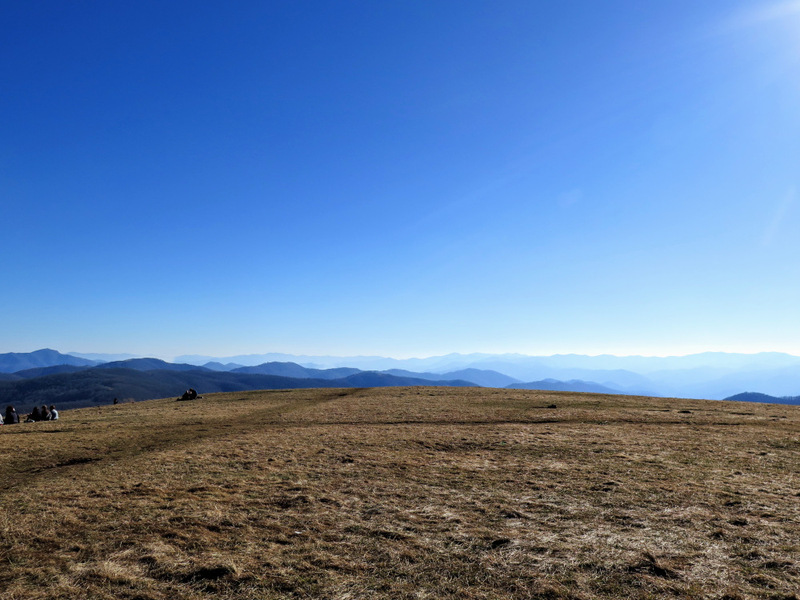 Max Patch Mountain, simply known as Max Patch, is hands down one of the most beautiful summits in the Southeast. 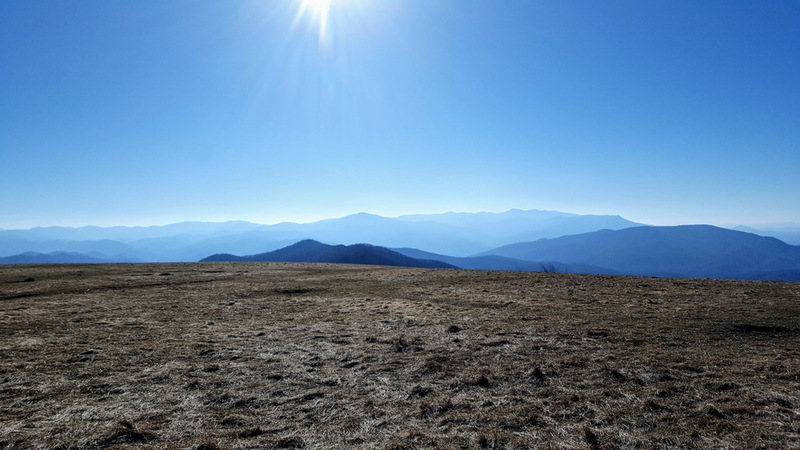 The massive grassy bald is meticulously maintained by mowing and prescribed burns to preserve stunning 360° views of the tallest Appalachian peaks. You can drive close to the summit on the gravel SR 1182, which is popular but sometimes difficult to reach during the winter after snowfall. You’ll also never be alone using this option, it is common to see more than one hundred people at the top. 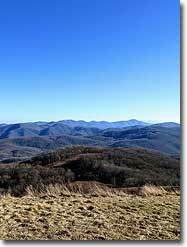 For a longer day consider this hike beginning at Brown Gap in the Harmon Den Wildlife Management Area of Pisgah National Forest. 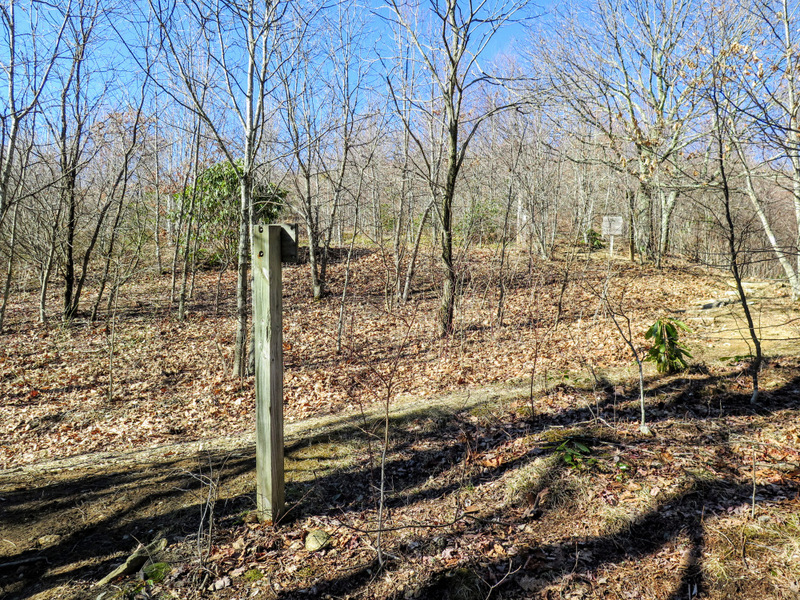 Deep in this secluded backcountry you won’t see many people until you approach the destination. 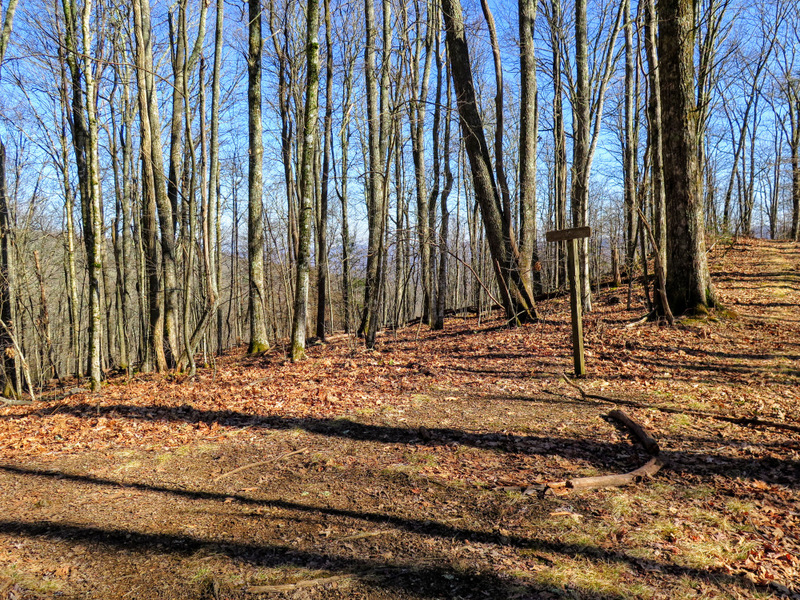 Initially you’ll follow the Appalachian Trail northeast through hardwood forests along gentle 4,000-foot ridges. 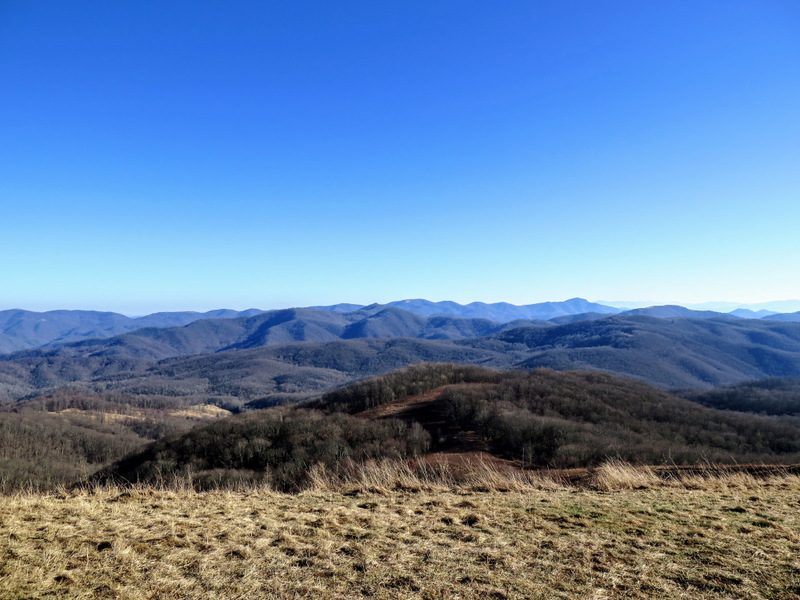 Max Patch Mountain at 4,629 feet is not close to being the tallest peak in the region, but you are surrounded by countless 5,000- and 6,000-foot peaks in every direction. 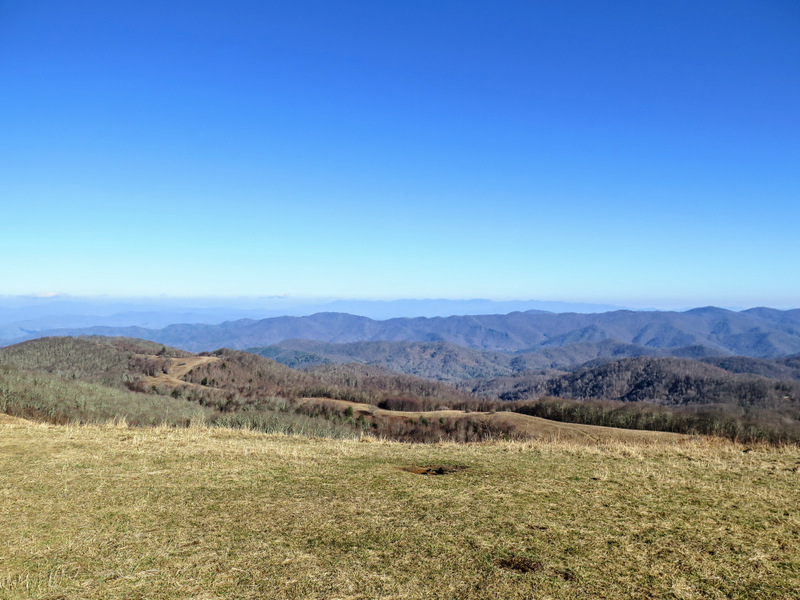 The Unaka, Black, Great Balsam, Plott Balsam, and Great Smoky Mountain ranges are home to the highest peaks in the East and can all be seen from Max Patch. You’ll be tempted to spend hours here soaking up the incredible views, and there is no better place for a picnic and a nap. 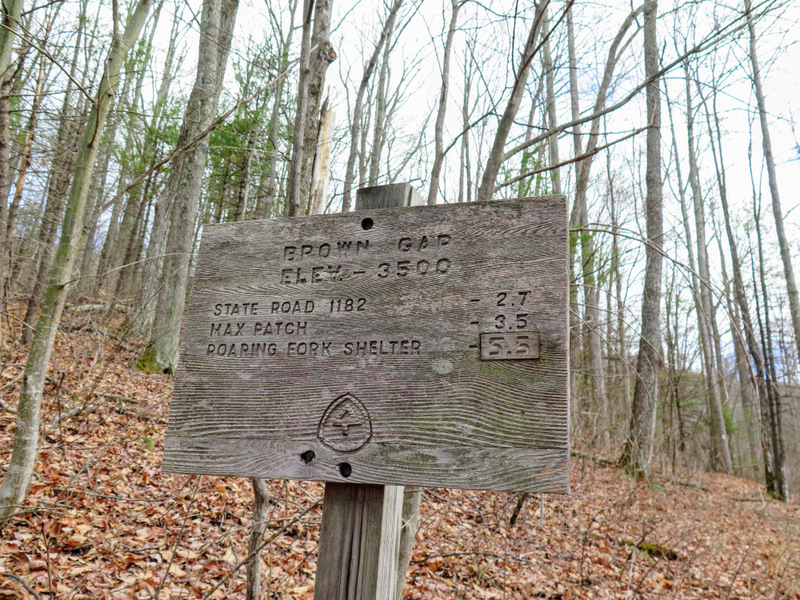 Mile 0.0 – The Appalachian Trail crosses FR 148A at Brown Gap on the NC/TN border. On the Tennessee side the road forks with FR 2250-1 heading left and FR 148A heading right. 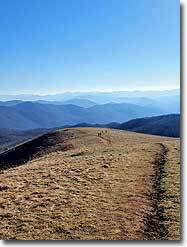 Follow the Appalachian Trail (white blaze) northeast from Brown Gap. 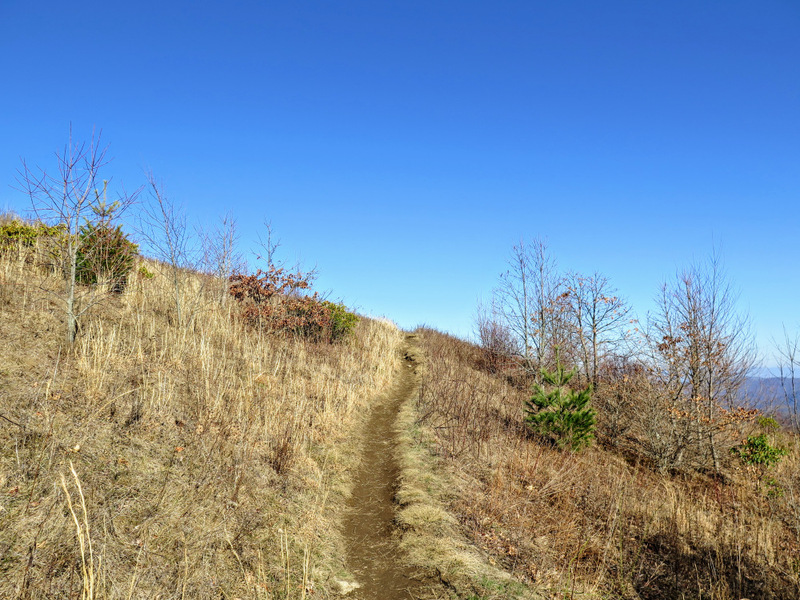 You’ll climb over 600 feet steeply out of the gap. 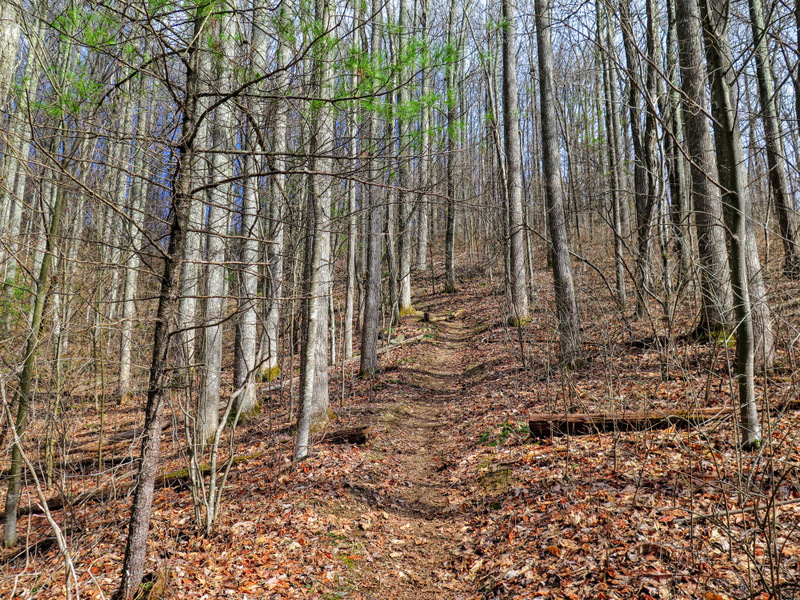 After 1 mile the trail levels out around 4,200 feet following the ridgeline through hardwood forests. 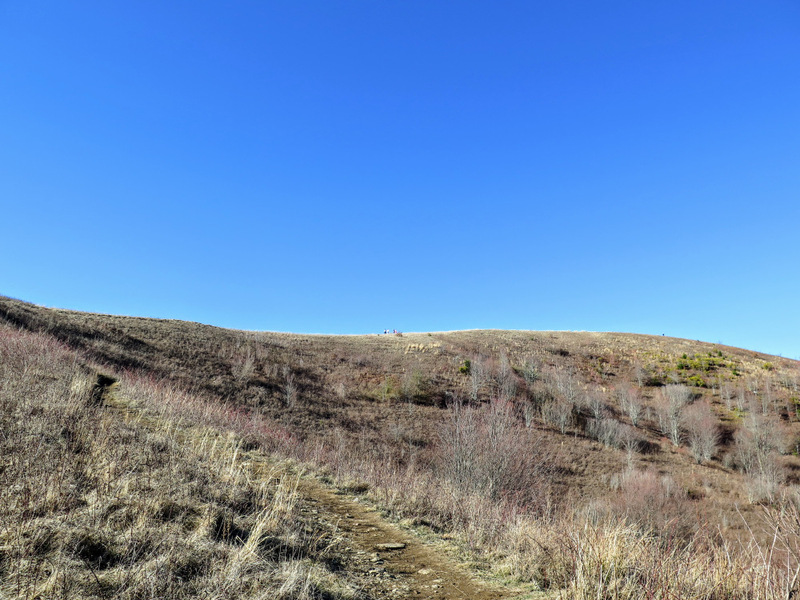 Mile 2.6 – The AT curves left at a wishbone junction with the Cherry Creek Trail  (yellow blaze) on the right. 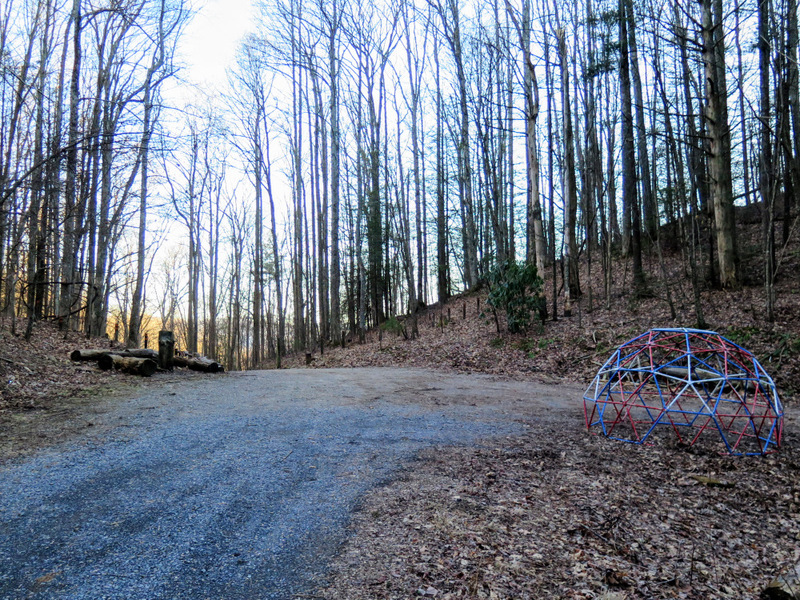 Mile 2.8 – Cross SR 1182/Max Patch Rd and pass through a horse gate. 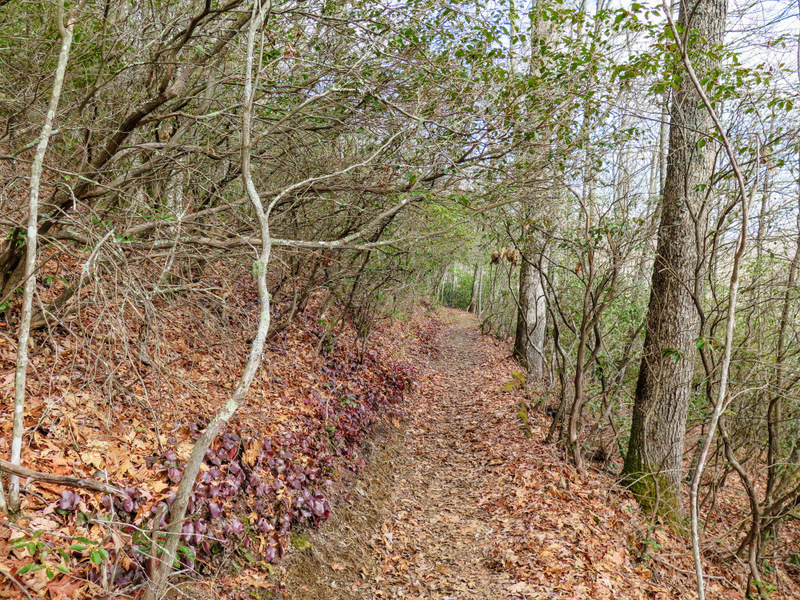 You’ll drop down into a drainage and hop over West Fork Little Creek. 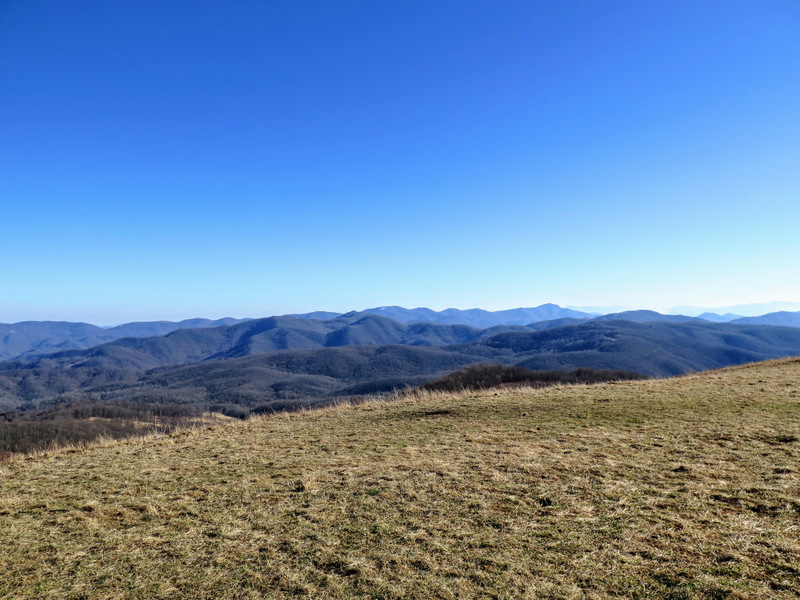 Mile 3.2 – Cross FR 3534 and the Max Patch Loop Trail. 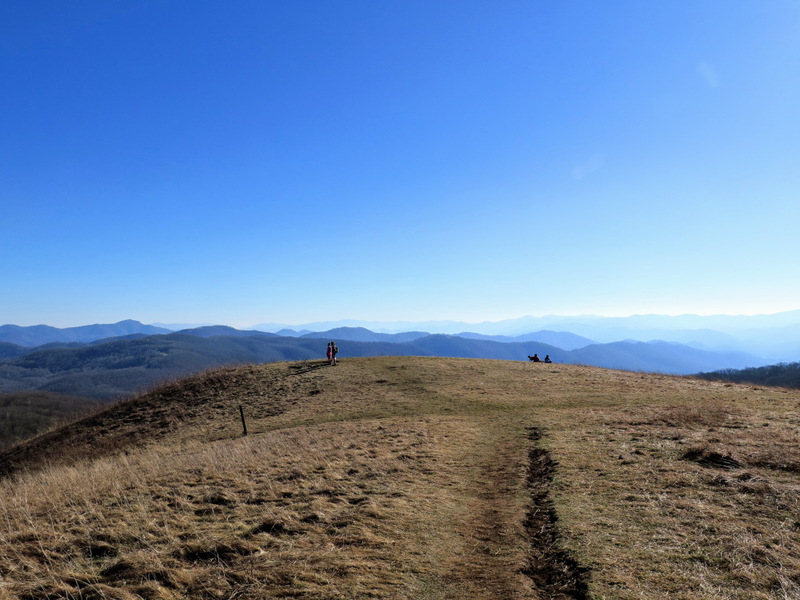 The AT and Max Patch Trail continue straight climbing the mountain. 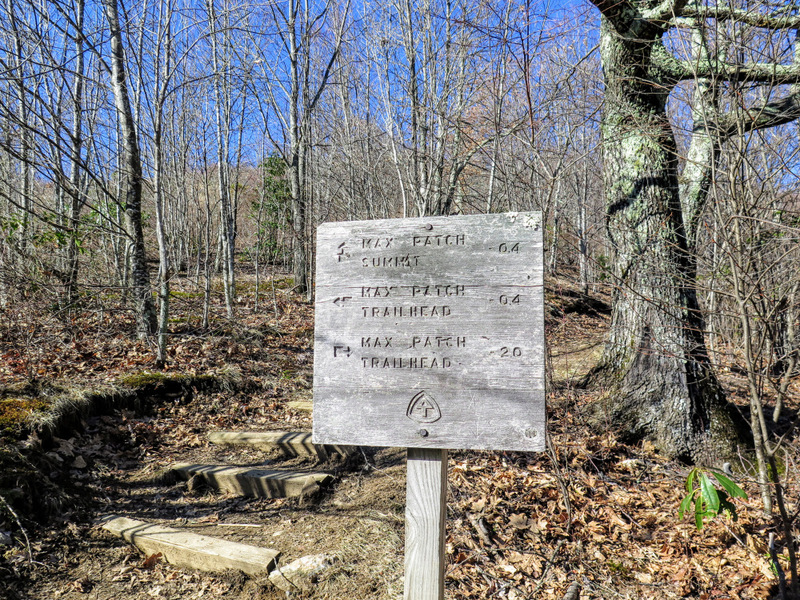 The Max Patch Loop Trail encircles the base connecting to the SR 1182 parking lot and the Buckeye Ridge Trail . 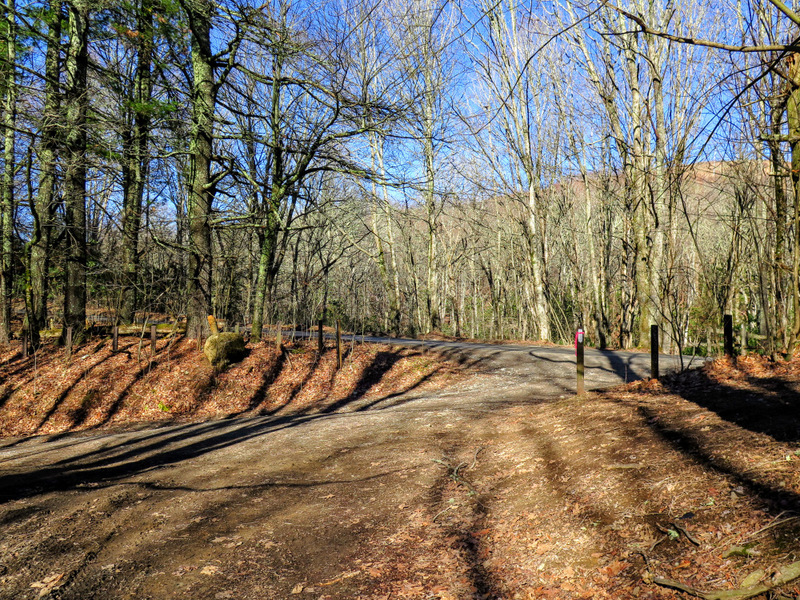 Shortly after passing through this intersection the AT leaves the forest behind and climbs up log stairs on the way to the summit. 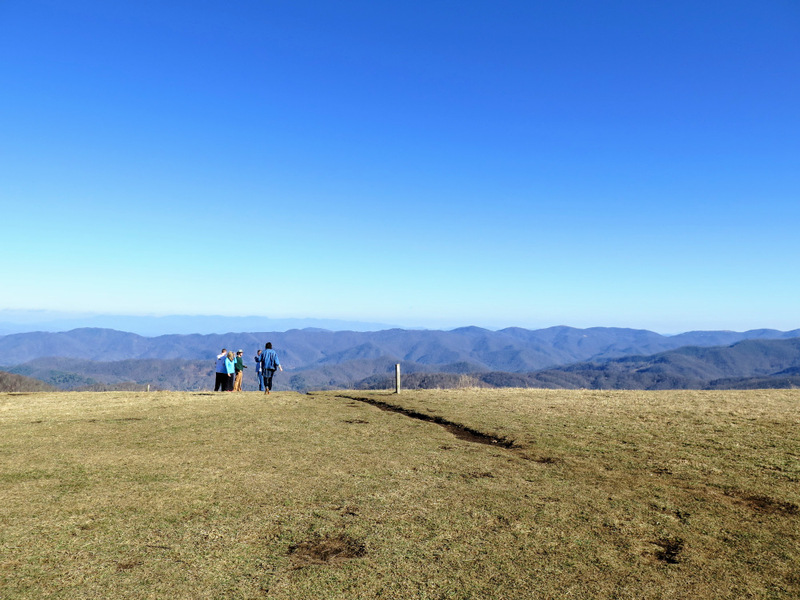 Mile 3.5 – Reach the massive bald summit of Max Patch Mountain (4,629 feet). 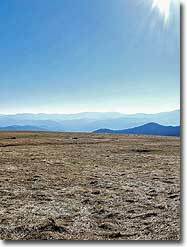 The pristine grassy bald is maintained with mowing and prescribed burns to eliminate regrowth of shrubs. 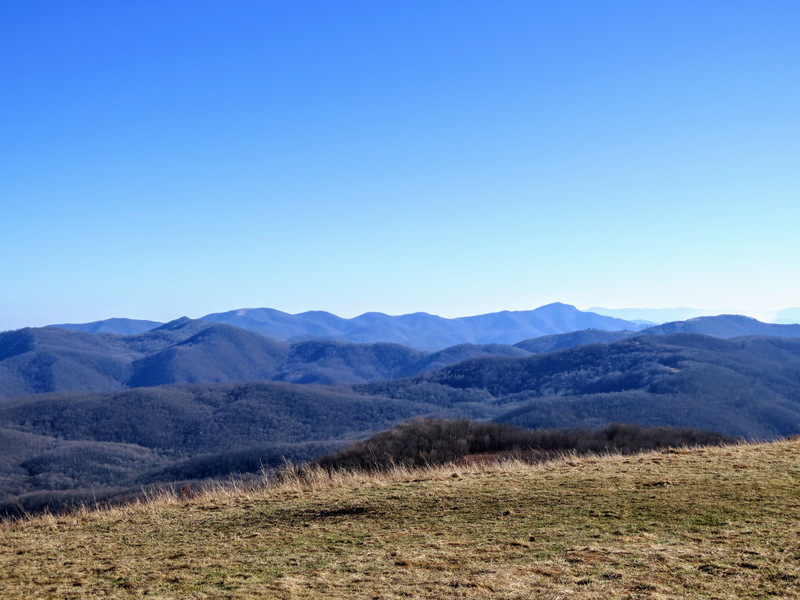 Bluff Mountain is the dominant peak immediately northeast, while the Bald Mountains continue to unfurl in the distance. 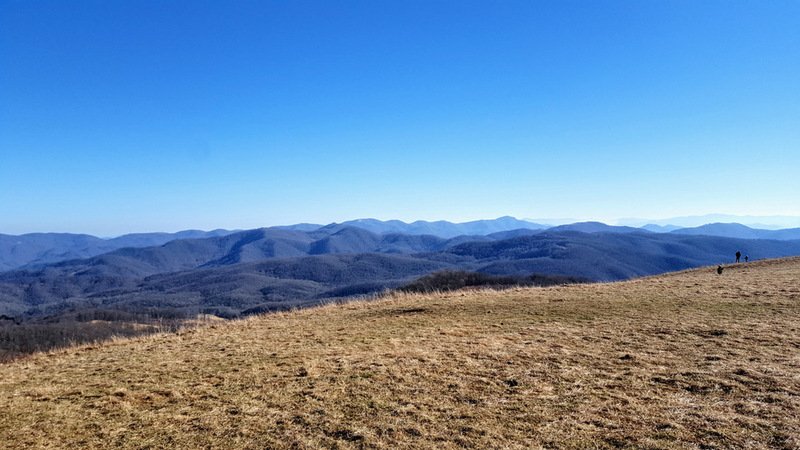 On a clear day you should be able to see Big Bald and the Unaka Mountains. 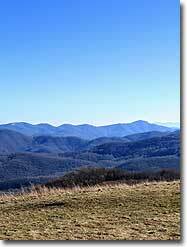 The Newfound Mountains surround the mountain from east to south. Towards the southern end of the range the tallest peaks of the Newfound Mountains are connected by a jagged crest with Sandymush Bald (5,152 feet) on the left and Crabtree Bald, the tallest peak in the range at 5,340 feet, on the right. 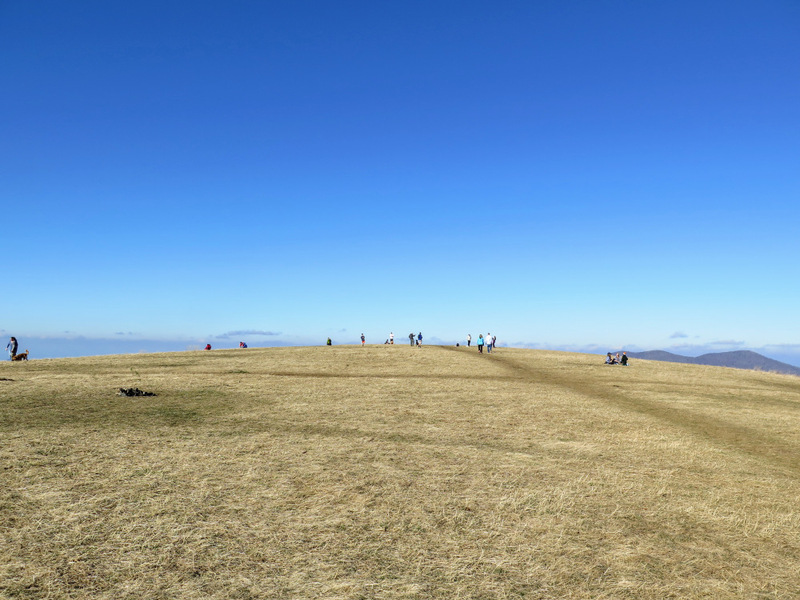 The dominant north-south crest of the Black Mountains is visible due east, completely obscuring the Great Craggy Mountains in the foreground. 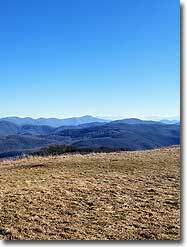 Across the Pigeon River Valley to the south are the Great Balsam and Plott Balsam Mountain ranges. 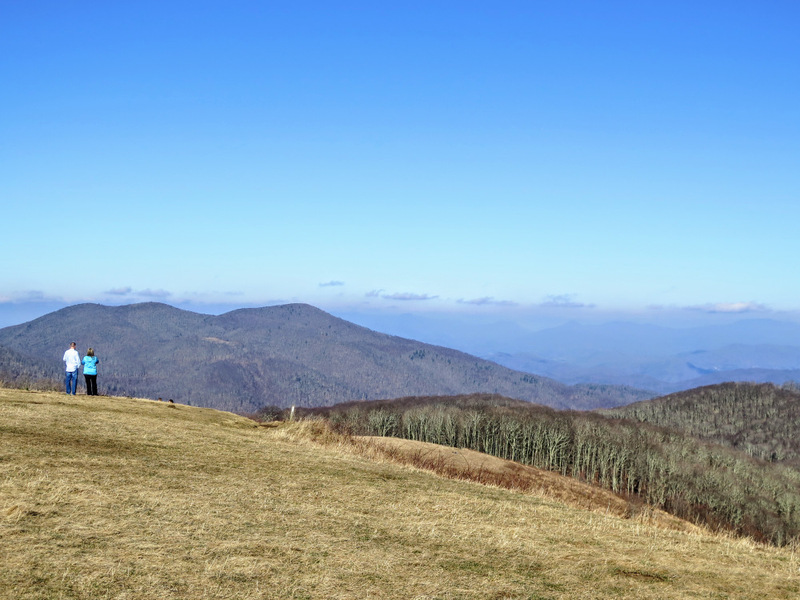 Richland Balsam and Waterrock Knob, the tallest peak in each range, are both visible. 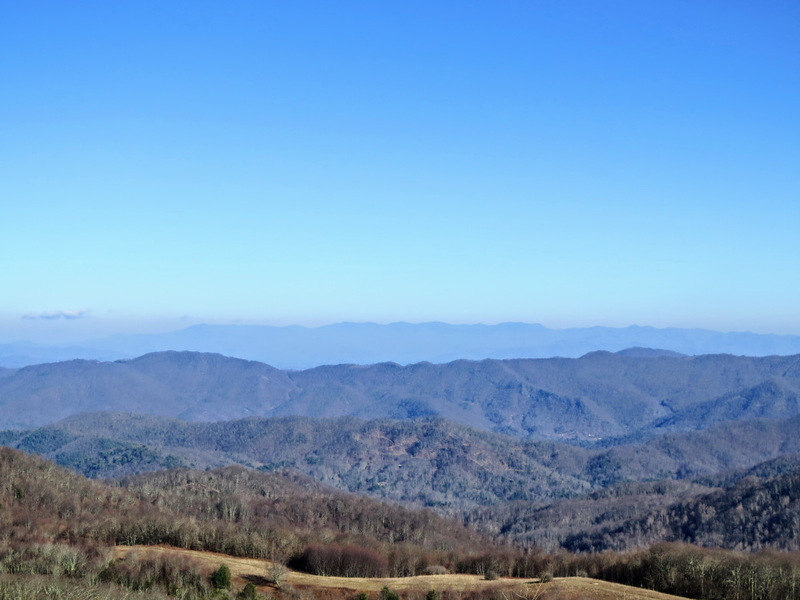 The formidable Great Smoky Mountains rise to the southwest across the Pigeon River Gorge. The broad peak on the left is Mt. Sterling and the promontory on the right is Mt. Cammerer with Mt. 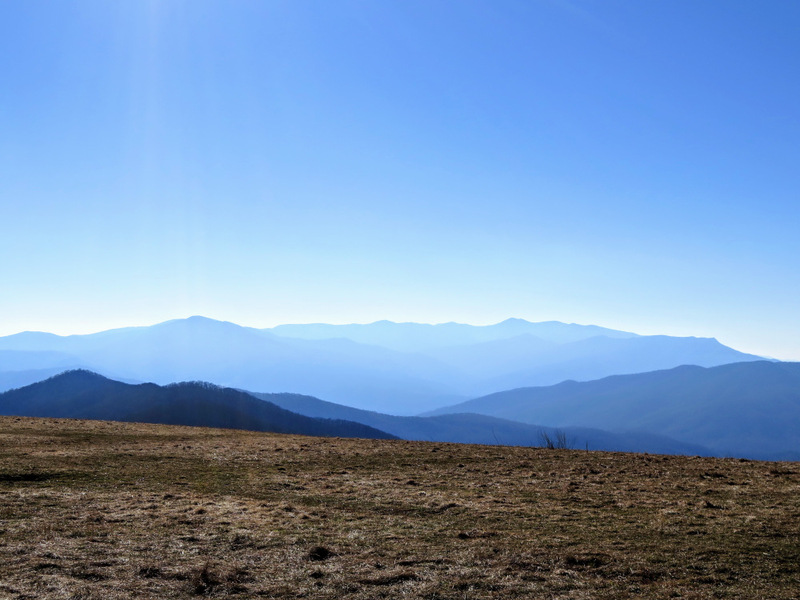 Guyot, the 4th tallest peak in the East, in the center. 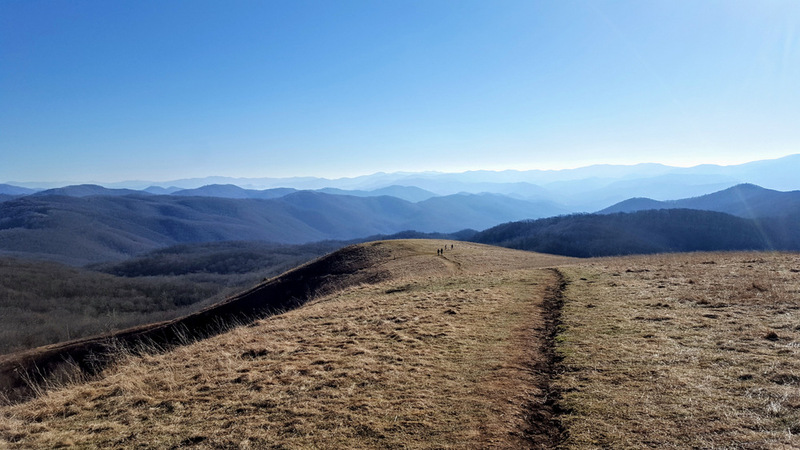 Mile 7.1 – Hike ends back at Brown Gap.